A carpet stretcher is a tool used to pull the carpet taut in the area in which you are installing the carpet. The carpet stretcher tool or power stretcher prevents the carpet from wrinkling or bowing up in spots. 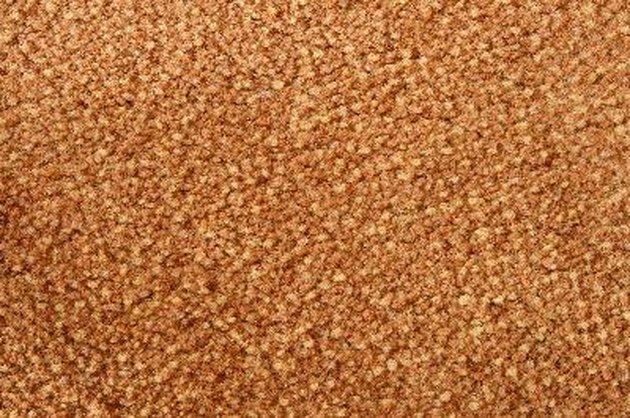 You can install carpet without a stretcher, though the quality of installation is not always as high as when a stretcher is used. If a stretcher is unavailable, there are other tools you can use in a cinch to install the carpet without having to buy or rent a carpet stretcher. Install the tackless strips along the edges of the area you are carpeting. Leave a ½-inch between the back of the tack strip and the walls and ½-inch between the back of the tack strip and the entry way of the room where the carpet will stop and a threshold or strip of plastic or metal will be placed. Cut the carpet pad with a utility knife into a size to fit the room or area. Glue the padding into place between the tack strips, do not place the pads over the tack strips. Use the carpet cutter tool to cut the carpet a few inches longer and wider than the length and width of the room and then roll the carpet inward for easier installation. Start in the corner of the room furthest from the door way and work your way toward the door. Hook the carpet on the tack strips on this furthest edge or corner and move towards the door unrolling the carpet and stretching it as you go. Stretch the carpet with the knee kicker tool and pull the carpet towards the outer edges of the carpet, away from the starting point. The knee kicker works like the carpet stretcher but requires you to be on your hands and knees. The knee kicker works best for small rooms or hallways no wider or longer than 12 feet. Hook the carpet over the tack strips at the other end of the room or area, after stretching the carpet with the knee kicker. Go back around the room and trim the carpet down to fit into the floor of the room; leaving a gap between the carpet and wall is fine if you intend to place a floor board later.